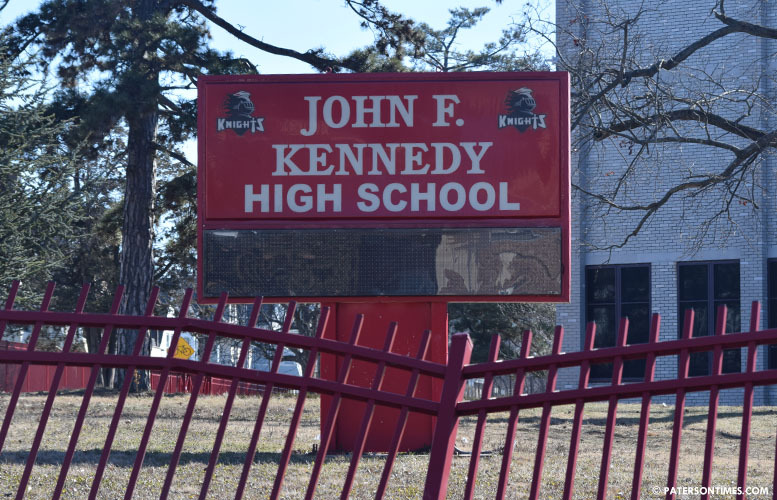 The school board has approved $45,000 to settle a former John F. Kennedy High School teacher’s hostile work environment and discrimination lawsuit. Ronald A. Pearson, social studies teacher, who taught at the district for nine years, 2006 through 2015, claimed he was badly treated by school administrators at the School of Education and Training (SET) at John F. Kennedy High School. Pearson alleged Joseph Ribitzki, chairman of the social studies department at the high school, and Maryann Perrotta, then-principal of the School of Education and Training, subjected him to a hostile work environment. Pearson was suffering from cancer in Sept. 2014 which required him to take leave from Sept. 8 through Nov. 1, 2014. He underwent surgery and radiation treatment and provided medical information to the school. Also, he underwent surgery in Sept. 2015 for prostate cancer, according to his lawsuit. Pearson left behind educational materials for his students. Upon his return on Nov. 1, 2014, he learned his social studies classes were not provided instruction. Ribitzki was responsible to provide instruction, he claims in his lawsuit. At around the same time, Perrotta allegedly referred to Pearson as “lazy” because he was always found seated at his desk. Pearson was required to be seated at his desk due to fatigue arising from his cancer and treatment, according to the lawsuit. Pearson, who is African-American, in his lawsuit, alleged Perrotta transferred black teachers from her academy to other schools. He viewed the “lazy” remark as discriminatory and based on his disability and race. In Jan. 2015, the lawsuit claims, Ribitzki publicly threatened him with discipline if he did not change a student’s grades that was submitted in Jun. 2014. In Mar. 2015, Perrotta allegedly submitted a false performance evaluation that rated him poorly arising from technology problems at the workplace, according to the lawsuit. She required him to also cancel field trips to Harlem, NY. Perrotta allegedly criticized him for missing meetings due to radiation treatment and a family emergency. Pearson filed three grievances in May and June 2015. The teachers’ union submitted grievances on his behalf at the same time which included allegations of discrimination. In Sept. 2015, Pearson was taken up on tenure charges. He claims both administrators denied him assistance under a corrective action plan based on his race and age. Pearson was 66 at the time of the incidents. He resigned from the district in Dec. 2015. The school district denied his allegations in court filings. School board members approved the settlement without public discussion last week. I knew Mr Pearson at JFK he was great teacher, cared very much for the students and helped a lot of them get scholarships. I also heard Ms Perrotta has a history of railroading teachers through false performance reviews. It is cases like this why Paterson has so many unfilled positions,. Ms Perrotta if there is any truth to this I am ashamed as a former student say its not so. This truly not good . Disappointed on all level.